Babylon IDA Helps Local Cabinet Maker Expand its Footprint in the Town. Lakeville Kitchen and Bath will soon be located in both Farmingdale and West Babylon. The Babylon Industrial Development Agency (IDA) recently completed a transaction with Lakeville Kitchen and Bath, a company supplying Long Islanders cabinetry for budgets of all sizes, to aid its expansion into two locations within the Town of Babylon. Lakeville Industries will be relocating from its long-standing Lindenhurst location to sister sites in the hamlets of Farmingdale and West Babylon. 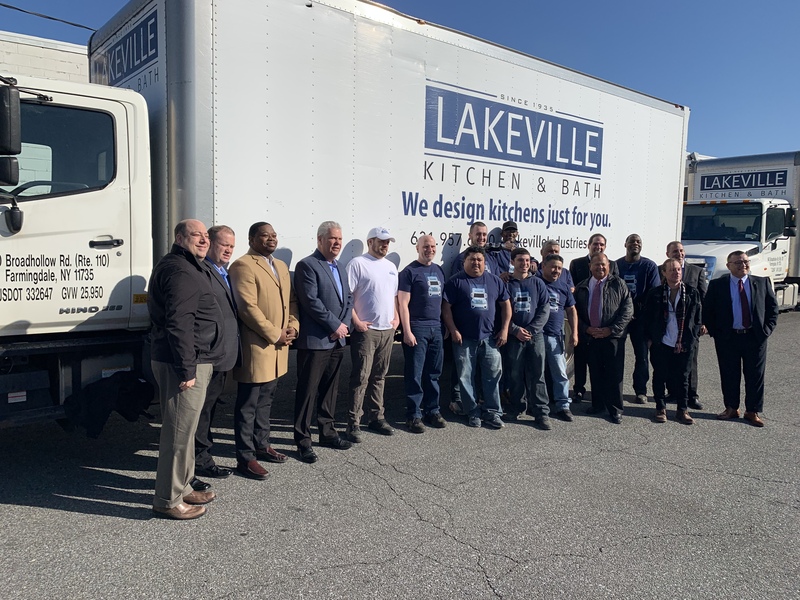 In recent months, the Babylon IDA has worked closely with Lakeville Kitchen and Bath to finalize an assistance program that will enable them to make a $5.6 million investment that creates four new jobs at an average salary of $55,000. During the 12-year agreement, Lakeville Kitchen and Bath will receive property and sales tax exemptions, but will still pay nearly $80,000 per year combined for the two locations. As a result of the transaction, Lakeville Kitchen and Bath will grow in size by four employees, from 31 to 35, over the next two years as part of the company’s workforce in its warehouse, receiving and shipping facilities, showrooms and corporate office.